Heated towel rails are clever and stylish devices that also solve a number of other issues in the bathroom. 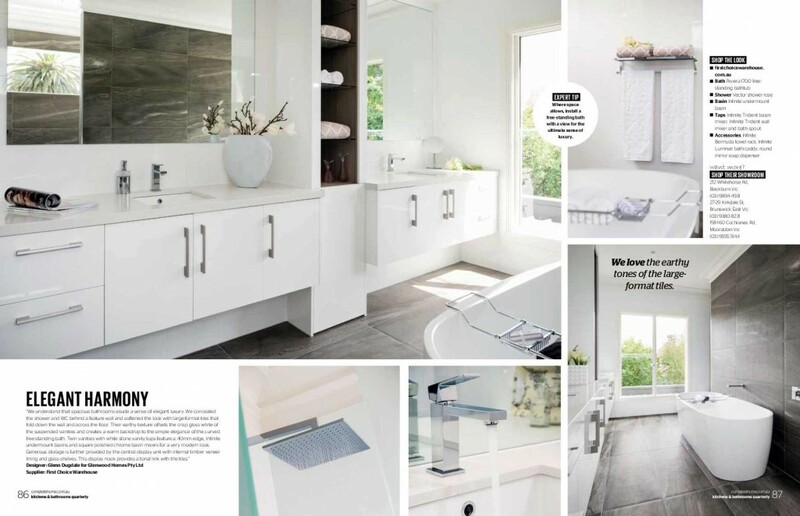 Here are the reasons why heated towel rails are the ultimate bathroom luxury, and will turn your bathroom time into a lavish, relaxing experience. 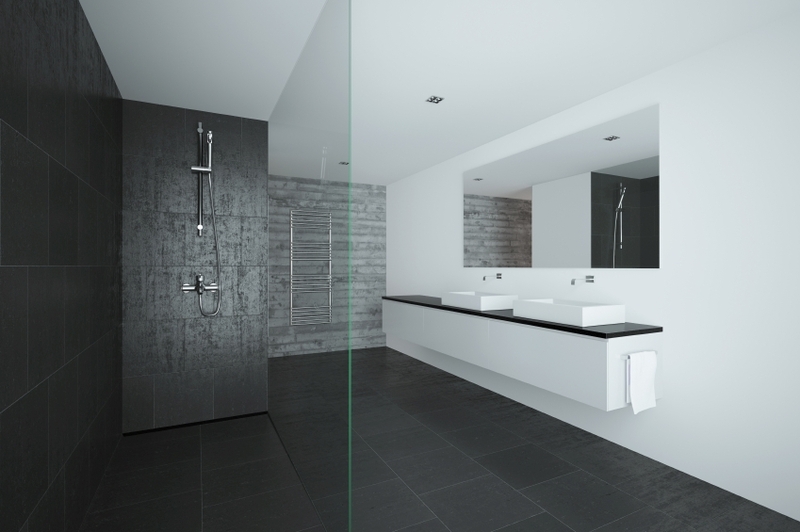 A well-designed bathroom needs to function seamlessly while also looking attractive. This ensures that your day starts on the right foot, and ends with relaxation and calm. So what are the most important things to have in your bathroom? 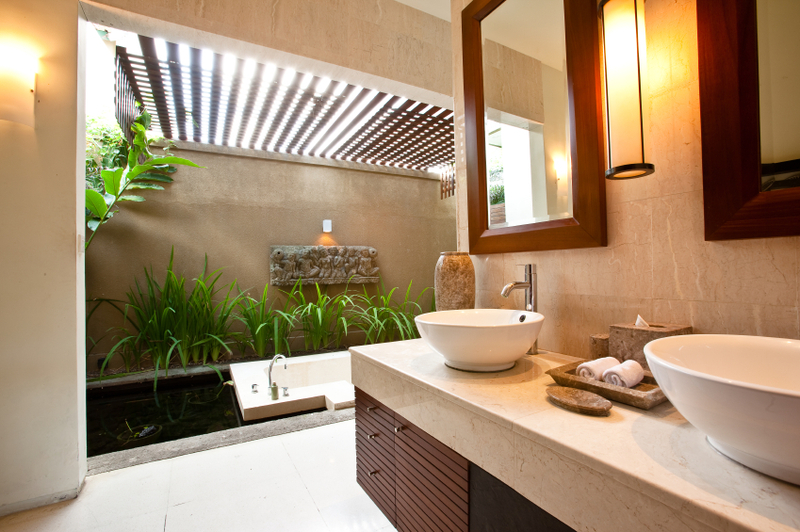 Here are the essential elements to include for a bathroom that fits perfectly with your lifestyle. mean that you can stay in your home for longer, looking to the future. 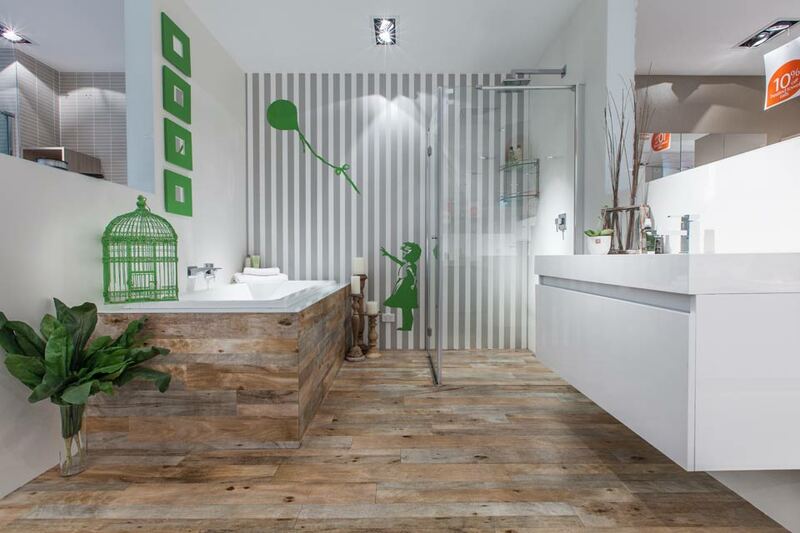 Here are ten tips for creating a bathroom that’s accessible for all ages. Your vanity is one of the most important features of your bathroom. 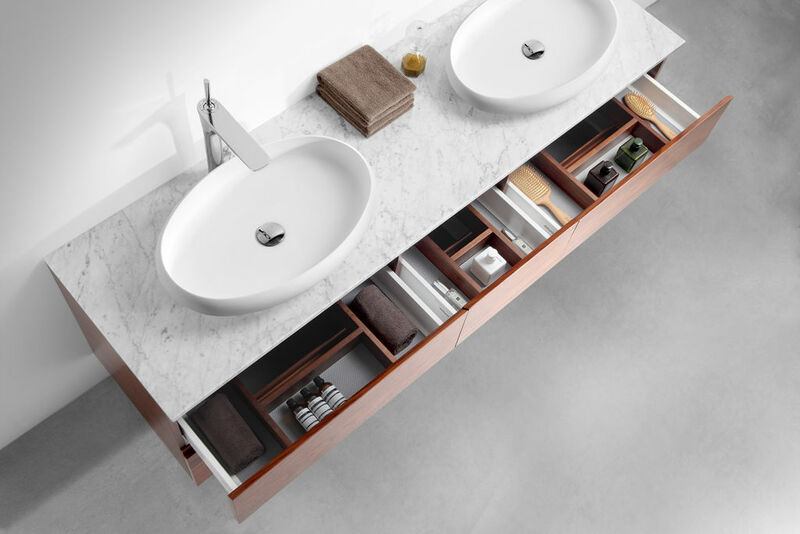 The ideal bathroom vanity needs to be both practical and stylish. However, with so many different design options available, it can be difficult to make the right choice. Would a vanity with doors or drawers be the better option? 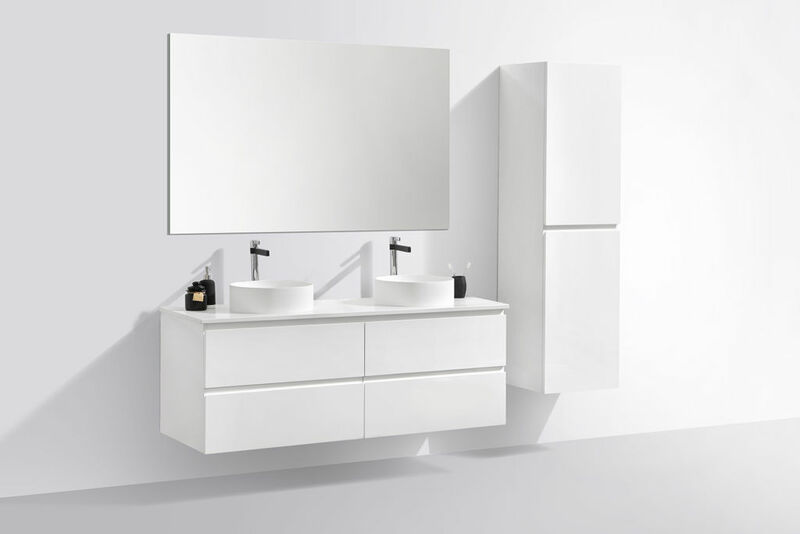 Choosing a vanity that’s all drawers can be a great solution for a new or refurbished bathroom design. Here’s why. 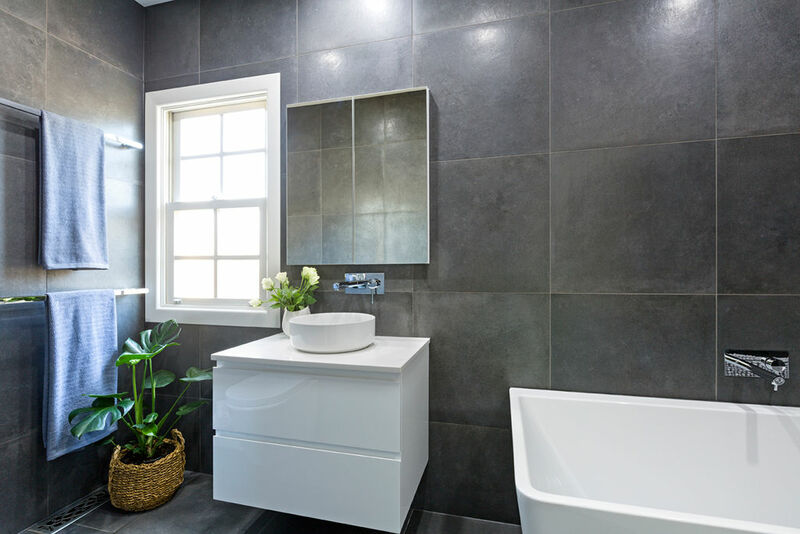 The right bathroom tiles make all the difference to the look of your room, enabling you to create a relaxing and beautiful space that truly reflects your personal style. But which tiles are right for you? 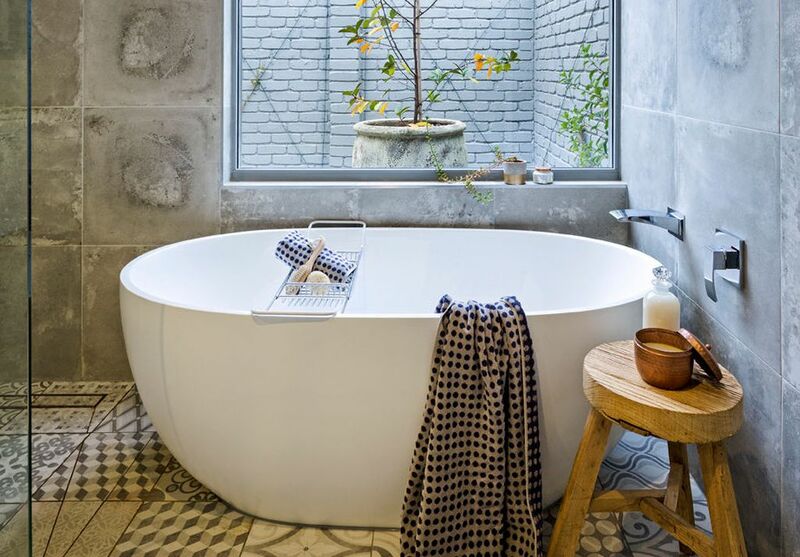 To help you decide, here’s a guide to 10 of the most popular types of bathroom tiles. When you have a small bathroom, it can be a challenge to create a highly functional space that also looks great. 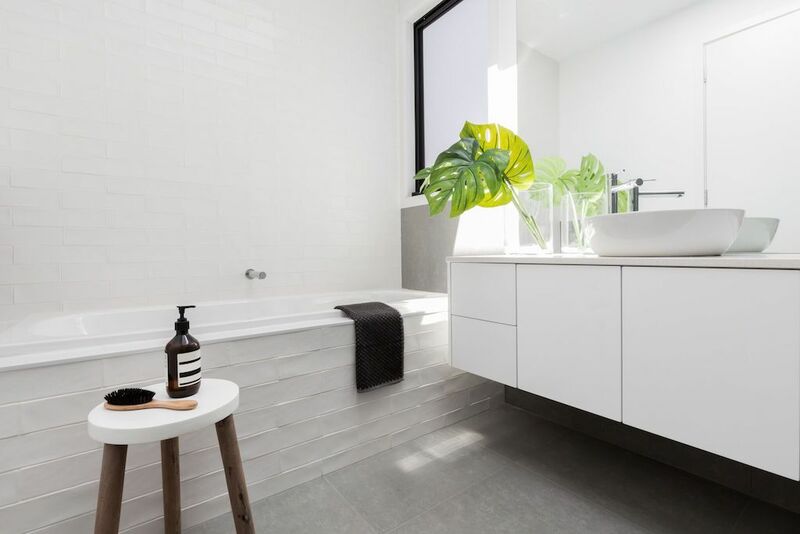 But, with a few clever design tricks, you can make your small bathroom look and feel more spacious, transforming it into the beautiful, practical and relaxing space you’ve always wanted. 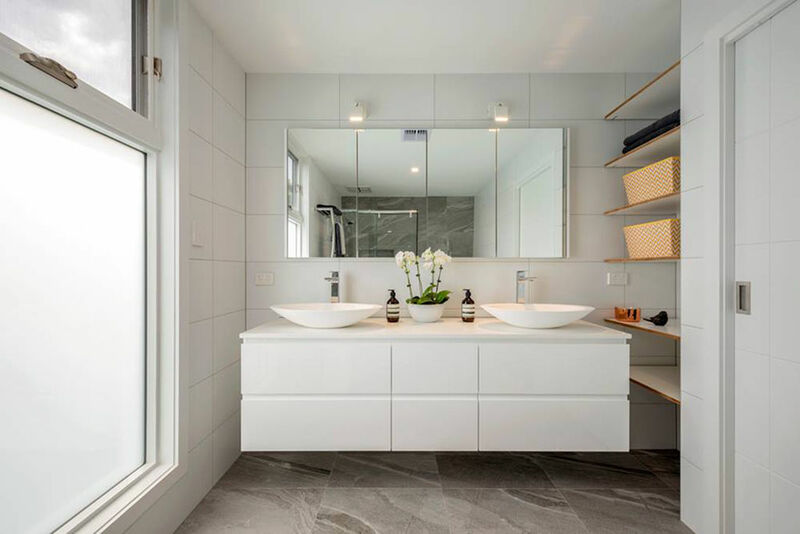 An all-white theme is the most versatile of all bathroom designs. It’s timeless so it won’t go out of fashion. It’s light and bright, making your bathroom look bigger. It’s also cost-effective and easy to redecorate. But how easy is it to create this look successfully in your bathroom? Follow our essential style tips for a dream all-white bathroom that truly reflects your personal style. 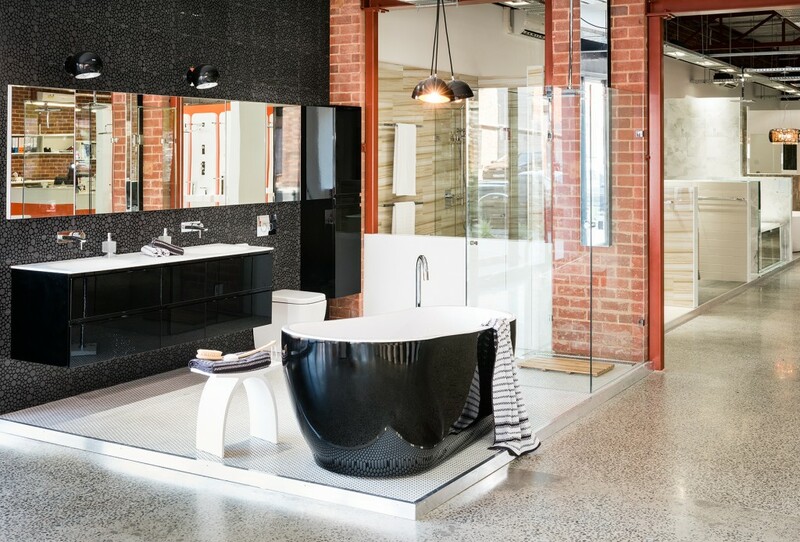 For many, renovating their bathroom can be an overwhelming process fraught with decisions. Decision on how much to spend, choosing the right products or do I need to change the layout? Defining Elegant Harmony is not as hard as you might think. 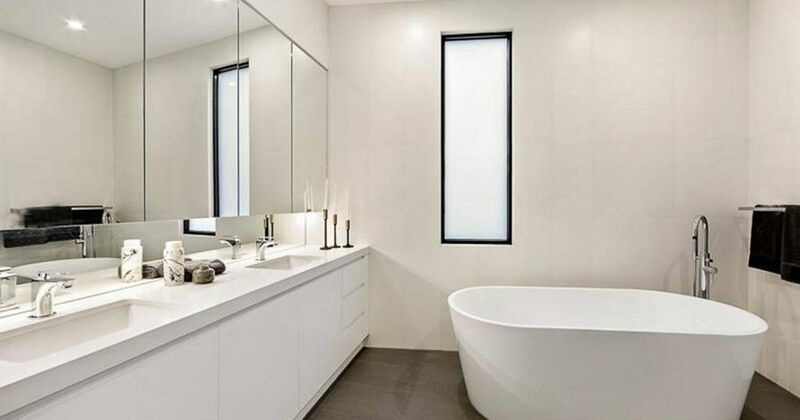 Elements that can establish this luxurious feeling in a bathroom require shapes that are not only familiar in structure but also sooth our fatigued senses. 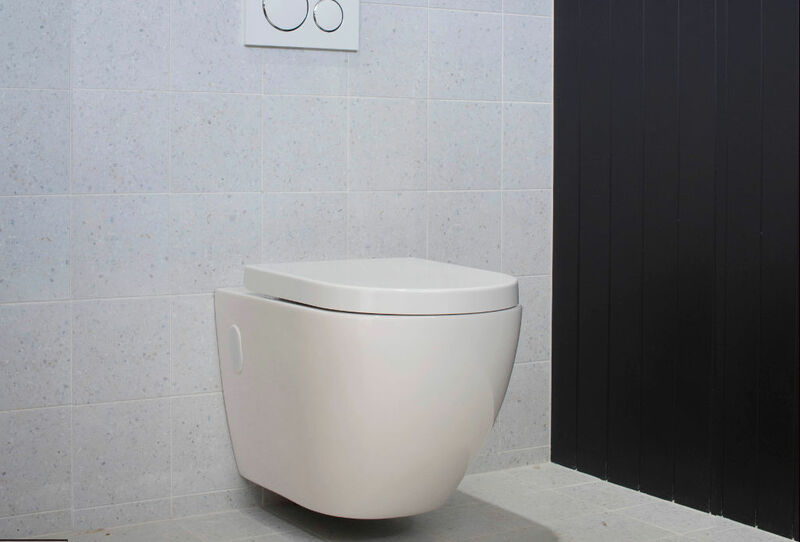 If you have a reasonable amount of space in your bathroom then freestanding solutions are a luxurious alternative to the more traditional products. 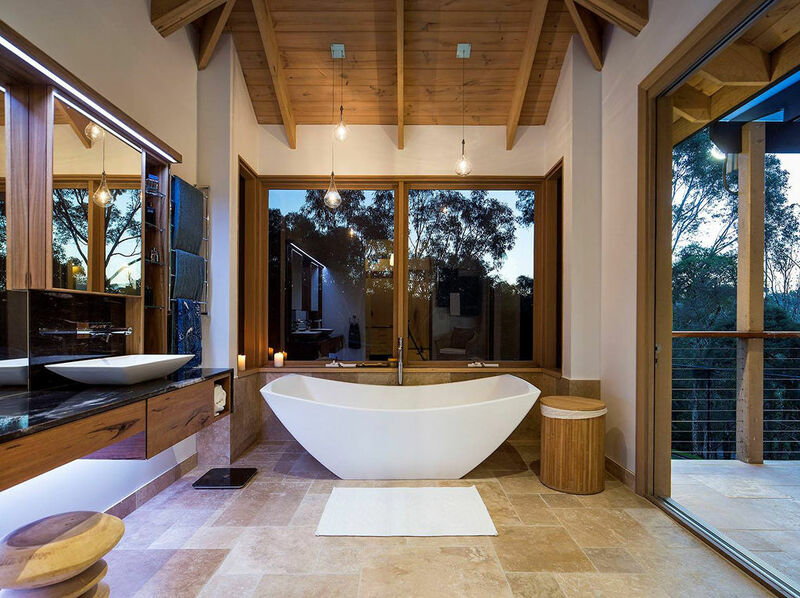 Freestanding bathtubs come in a wide variety of shapes and styles and add an layer of elegance and sophistcation to the room that you would usual expect from a high end day spa or hotel. Including a pedestal vanity can also help to give your bathroom a less bulky look and gives you more flexibility should you decide to refresh the look after 12 months or so. 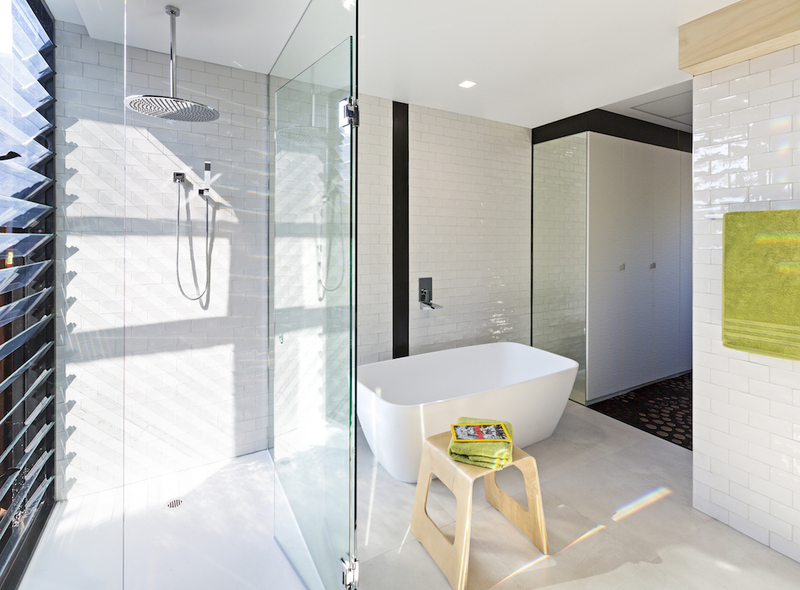 Design Tip: To get the most from your freestanding bath, it should be placed close to the centre of the room. It should not be placed in a corner or else it will be very difficult to clean around the bath adequately. Wet rooms continue to grow in popularity as people continue to look for less hassle solutions for their bathrooms. 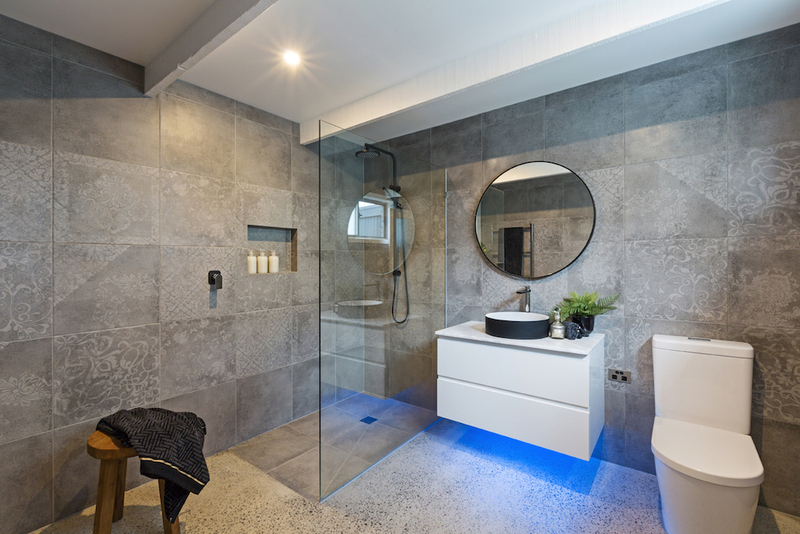 Although wet rooms are generally a more costly option than a traditional shower, you can end up saving both time and money in the long term by choosing products and construction materials that are easy to use and provide greater reliability, especially if professionally installed. 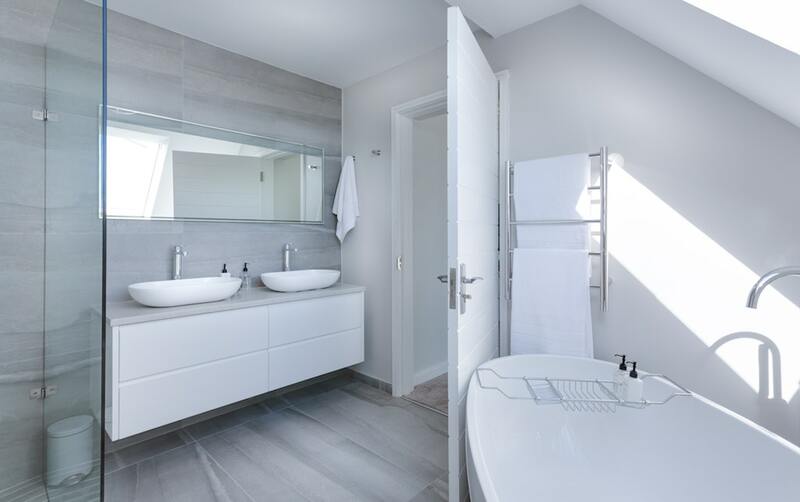 A wet room is also a great solution or smaller spaces and can help you element clutter in your bathroom and help to boost the value of a property. 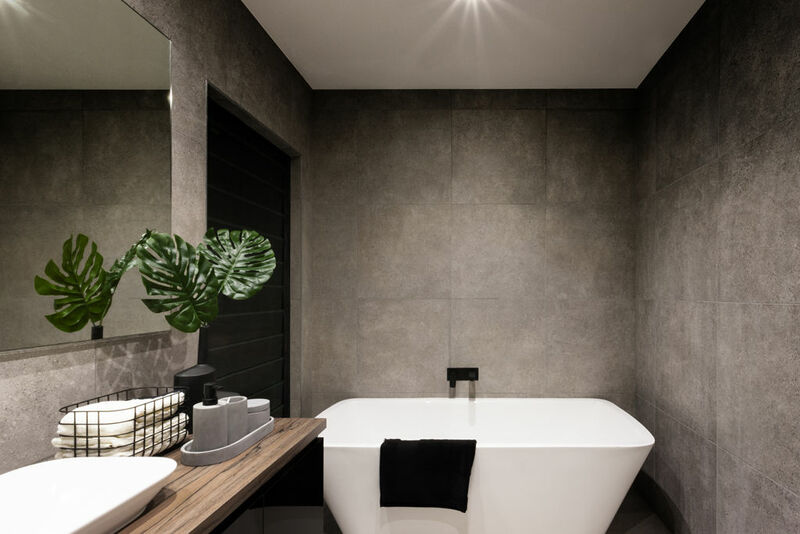 It’s often a good idea to have a wet room in addition to a standard bathroom with a bath and shower, as this provides potential buyers with a choice of different styles. 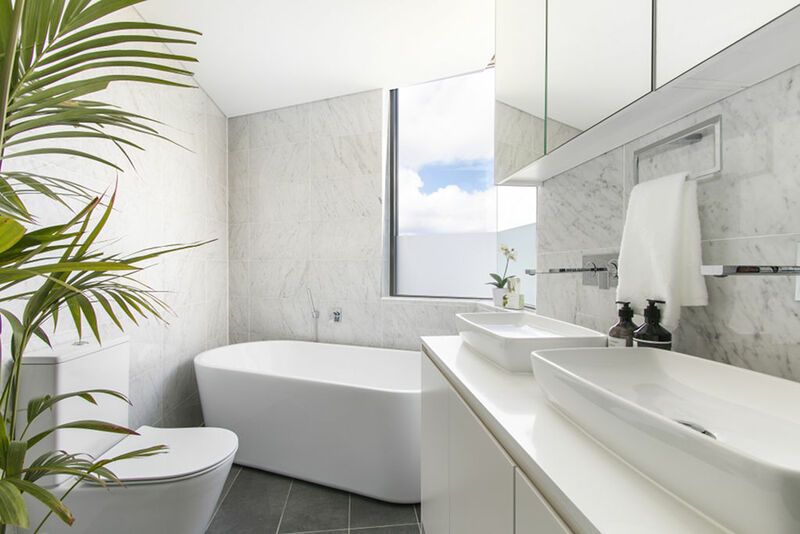 Design Tip: If you have a larger bathroom, you can also incorporate a freestanding a bathtub into your wet room design, which is just one of the many flexible features of building a wet room. Embrace the current eco-friendly trend by choosing more natural, organic products for your bathroom. Whether you go for a more urban design including exposed brickwork and concrete through to natural woods and rescued timber, the market will only continue to get greener as the years go by. The other obvious benefit is that natural has a beige, white colour palette that is easy to accessorise with other natural colours. You might think that decorating a small bathroom with patterned wallpaper or stencil would be a bad idea, but both are back in trend for 2015. Embellishing your walls with a strip of pattern or more recently stencils is a great way to demonstrate your personality whilst creating a dramatic style statement! Create extra space in a small bathroom by using using a digitally printed scenic wall mural to give the illusion of space. Design Tip: If your bathroom is cramped for space why not create a strip of pattern on a single wall to give the room texture and depth. 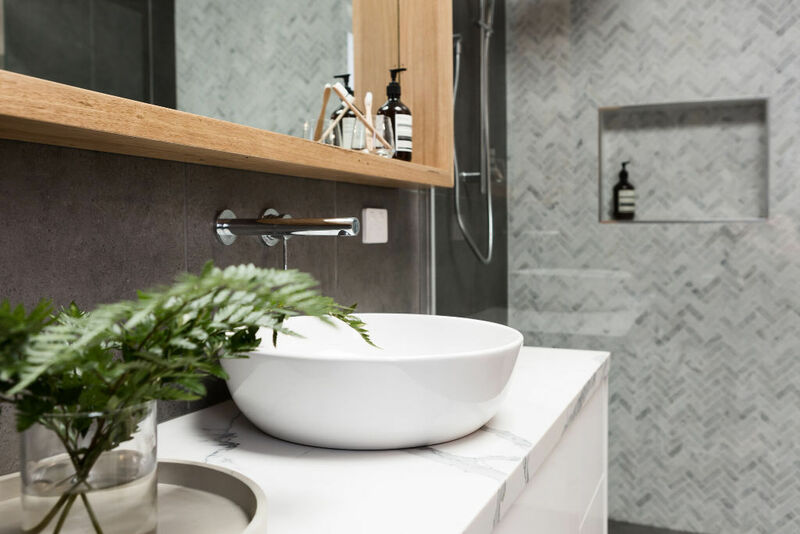 Although stone is still a common choice for bathroom counters, low maintenance solid surface products are fast gaining popularity with home buyers and commercial contractors. 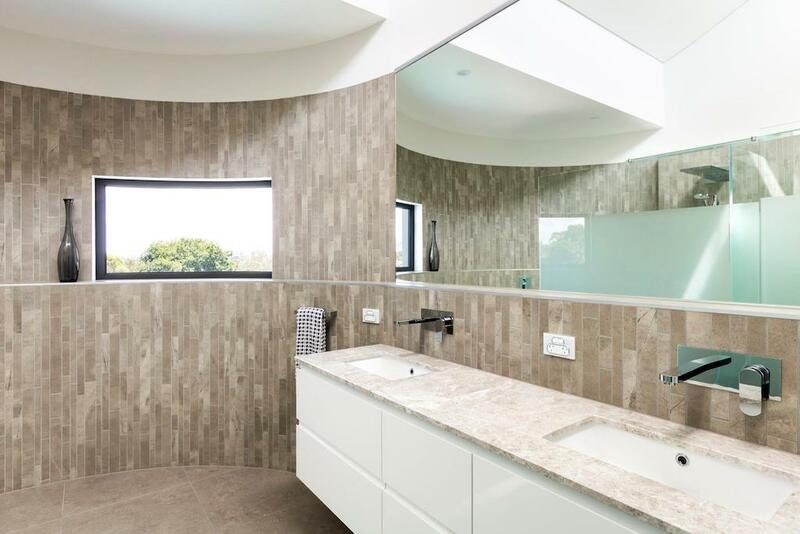 The best thing about using stone/solid surface products over ceramic is that they are built to last and retain their lustre for years after purchasing, not to mention they are far more durable, easy to clean, and scratch and stain resistance. If you are building your bathroom to last and then they are wont investing the money upfront to have a longer lasting product. 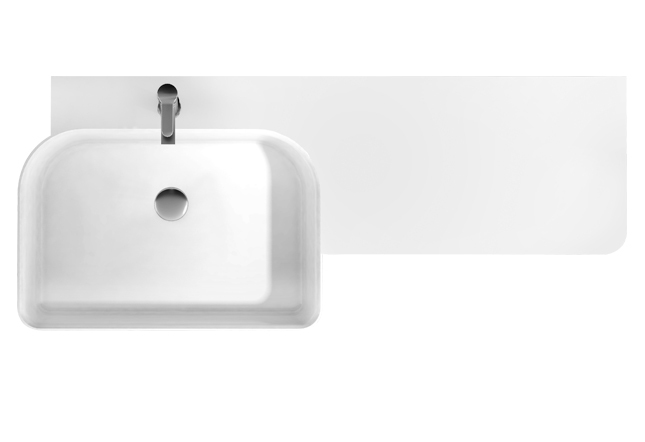 Design Tip: The other benefit to solid surface products is the amazing designs and shapes the products come in. 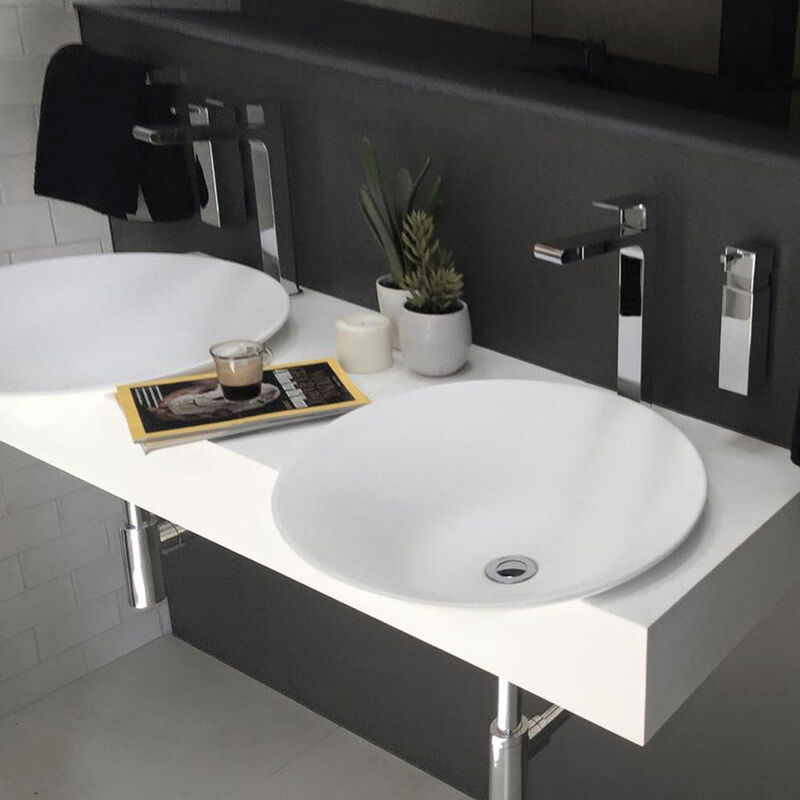 As they are more structurally solid than ceramic, you find a wider range on unique, thin walled designs that can complement any bathroom interior. 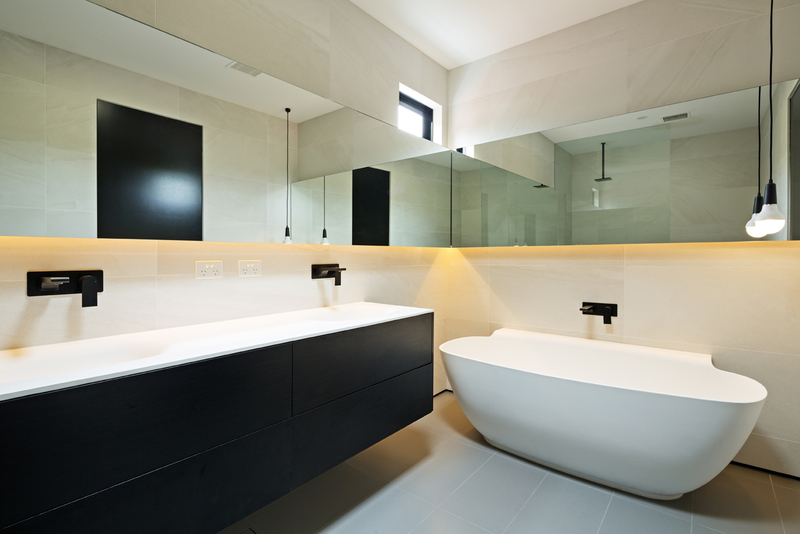 If your are working with a smaller bathroom space, think seriously about whether you need to have a bath tub at all in your main bathroom. 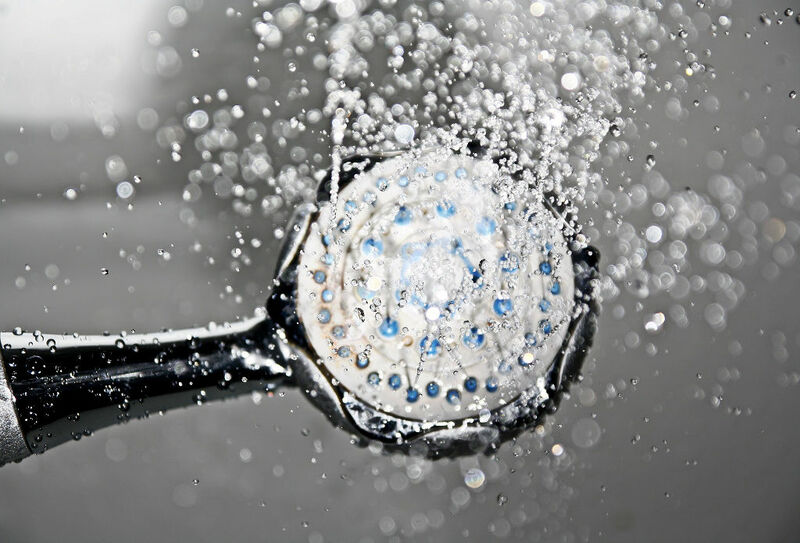 For most of us, the luxury of a long soak is a once in a blue moon affair, so why not ditch the bathtub and replace it with a more luxurious shower. Not only are the practical for every day use but showers make much better use of the space. Why not chose a frameless shower range and increase the footprint of the shower to include a fully tiled bench seat for those lazy shower days. Design Tip: When designing your shower be sure to carefully consider the products you use. 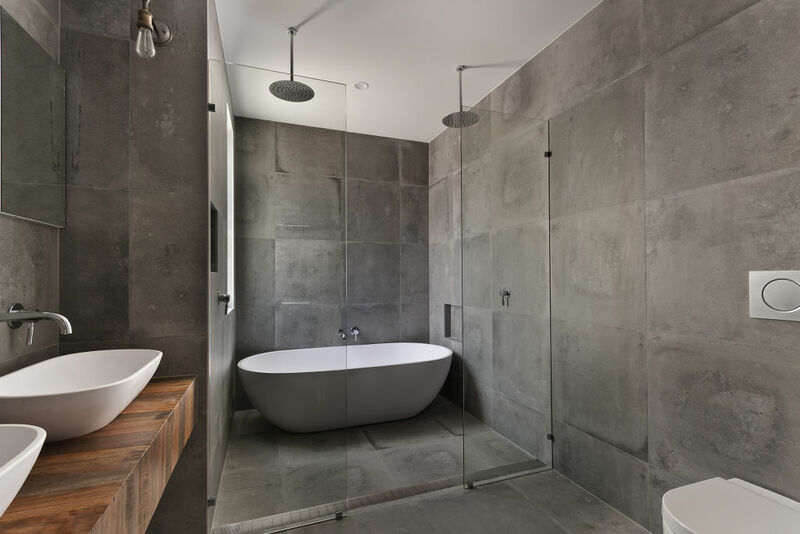 Differentiating the tiles from the rest of your bathroom can help add depth and texture to the space. Select a shower system that is a combination of a large shower head and a hand held rose to cater for every use. 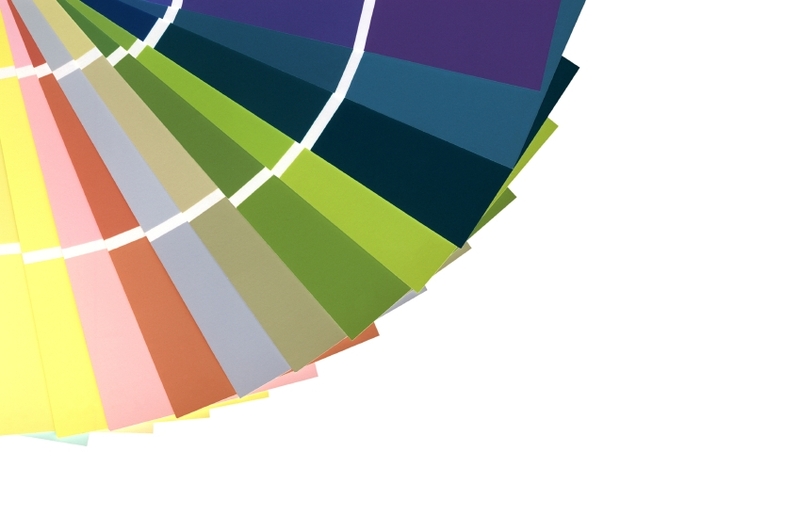 One of this seasons biggest design trends is the use of colours to make a big statement. Every interiors magazine has a different opinion on what constitutes this seasons colours, but we think as long at the your colour choice is bright, fresh and complements your bathroom décor then you cant really go wrong. Pantone named Marsala the Colour of the Year 2015, which you can incorporate into a more modern bathroom. Other colours that are hot this season are soft cool hues, pale pastels and nature-like neutrals. Design Tip: Changing the overall colour of your bathroom can be a scary proposition so before you paint, why not experiment with new colours by updating your bathroom accessories and maybe add some stenciled wall art to get a better feel for the colour scheme.